Ukraine’s March and October 2019 presidential and parliamentary elections will represent a watershed in the country’s history. They will be the second set of elections following those held in 2014 after the Euromaidan Revolution of Dignity, during Russia’s military aggression in Ukraine and when the EU and Ukraine had signed an Association Agreement, or enlargement-light providing integration without membership. If reformers win the 2019 elections, as they did in 2014, Ukraine will have passed Samuel Huntington’s (1991) two-turnover test of elections changing governments without a collapse of the democratic order. Two elections won by reformers taking Ukraine through to 2024 would place the country on an irreversible path of European integration and movement out of the Russian sphere of influence, or what Moscow describes as the Russian World (Russkiy Mir) (Suslov 2018). Opinion polls show the battle line in Ukraine’s 2019 presidential elections will not be between “pro-Western” and “pro-Russian” candidates, as was the case in four out of the six previous elections, but rather between reformers and populists. The pro-Russian camp disintegrated in response to four years of President Viktor Yanukovych’s kleptocracy in 2010-2014 and Russian military aggression since 2014 (Kudelia and Kuzio 2015). The Party of Regions, which monopolised power in eastern and southern Ukraine disintegrated while its satellite, the Communist Party was banned under one of the four 2015 de-communisation laws which outlawed Communist (Soviet) and Nazi totalitarian symbols. In next year elections, President Petro Poroshenko will face leading candidates who are all populists – Yulia Tymoshenko, Anatoliy Grytsenko, Oleh Lyashko, Vadym Rabinovych, and Yuriy Boyko. Since 2014, the main drivers of reforms in the Ukrainian parliament have been President Poroshenko and former Prime Minister Arseniy Yatsenyuk’s Popular Front factions, which together include 220 MPs. With populists leading in Ukrainian polls, it is important for scholars and policy makers to compare populism in Ukraine and Europe and analyse their critical discourse. Populists have long been present in Ukrainian politics and existed on both sides of the “pro-Western” and “pro-Russian” divide up to 2014. One major factor giving populists in Ukraine greater electoral capacity is the weakness of political parties (Kuzio 2014), a factor common to all post-Soviet states (with the possible exception of the three Baltic states). Diverse scholarly literature on populism has attempted to grapple with a vague concept that encompasses both the left and right of the political spectrum. Most of the scholarly work on populism has focused on Latin America but with the rise of populist nationalism more recently this has expanded to Europe, including post-communist central-eastern Europe. But, there has been very little written on populism in Ukraine (Kuzio 2010, 2012) and the former USSR (Eke and Kuzio, 2000). Populism in Ukraine, and the former USSR, displays characteristics that are commonly found in Europe as well as those that make it different. This article first discusses how populism in Ukraine does not possess four characteristics commonly found in European populists (Glahn). These characteristics include hostility to immigration, electorally popular populist-nationalists, anti-Islamic xenophobia, and the EU viewed as a threat to national sovereignty. Immigration is not an issue in Ukrainian elections because the country is a transit route for migrants seeking to travel to western Europe. This is one, but not the only reason why populist-nationalists are unpopular. In seven parliamentary elections held since 1994, nationalists have only been elected on a single occasion in 2012 when the Svoboda (Freedom) party won ten percent, far lower than for populist-nationalists in many EU member states. Nationalists did not win seats in the October 2014 elections during the year that Russia launched its military aggression against Ukraine. Patriotism rather than ethnic nationalism is more prevalent in Ukraine with popular opinion showing high levels of negativity to Russian leaders but not to Russian citizens. The above is often ignored by scholars writing from a pro-Russian perspective on the Ukraine-Russia crisis who are prone to exaggerating the strength and influence of “Ukrainian nationalism” while denying nationalism as a ruling political force in Vladimir Putin’s Russia (Sakwa 2017: 127, 155, Kuzio 2018c). Hostility to Islam and migrants from Islamic countries is not an issue in Ukraine as migrants do not seek asylum in Ukraine and there is no large Islamic community. Ukrainian dissidents in the Soviet era and contemporary democrats and nationalists have long been allies of Crimean Tatars in what they perceive as their common anti-Russian struggle. Crimean Tatar leaders have been elected to parliament in Rukh (abbreviation for Popular Movement for Restructuring), Our Ukraine and the Poroshenko bloc. Since Russia’s annexation of the Crimea and repression of Crimean Tatar leaders and institutions their alliance with Ukraine has grown stronger (Kuzio 2018c). Anti-EU sentiment in Ukraine was low and has dramatically fallen since 2014. Antipathy to the EU was found among supporters of Ukraine joining the CIS Customs Union (since 2015 the Eurasian Economic Union) but support has collapsed to under ten percent as a consequence of Russia’s military aggression. Support for Ukraine to adopt the “Russian model of development” is very low with 69-71 percent opposed to this throughout Ukraine, including 56 percent of Russian speakers. Ukrainian nationalists are negatively disposed towards LGBT rights which they see as being imposed upon Ukraine by the EU. Nevertheless, they do not attack the EU or Ukraine’s path of European integration. Ukrainian nationalists differ from their European counterparts in being pro-NATO and not anti-American. For Ukrainian democrats and nationalists, the threat to their country’s sovereignty comes from Russia, not the EU. 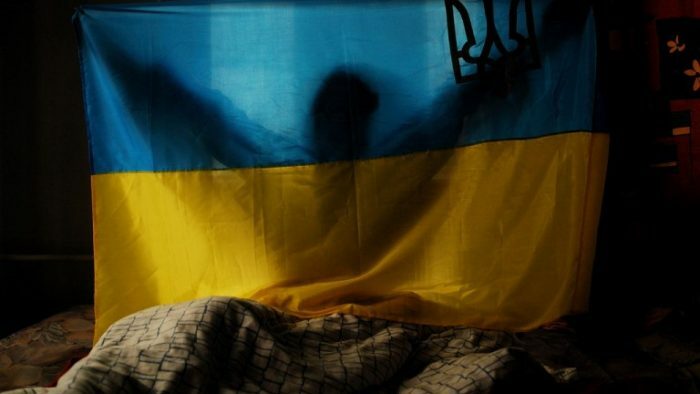 The collapse of Russian soft power is particularly noticeable among Ukrainian youth, representing the future of the country, two thirds of who believe Ukraine and Russia are in a state of war. Similar views of Ukraine and Russia at war can be found among all age groups in Ukraine with the highest among young people and lowest among the over 60s. Widespread opposition to Ukraine adopting the “Russian model of development” is an outgrowth of Russia associated by Ukrainians with “aggression” (65.7 percent), “cruelty” (56.9 percent) and “dictatorship” (56.9 percent). Six other issues commonly found in European populists are also found among Ukrainian populists. First, anti-globalisation has not yet been an election issue for post-Soviet countries such as Ukraine. Nevertheless, as Pierre Ostiguy (2017) writes, in dividing the population into “corrupt” elites and the “people,” populists often accuse the former of being controlled by foreign powers. “Pro-Western” (Tymoshenko, Grytsenko, Lyashko) and “pro-Russian” populists (Rabinovych, Boyko) criticise the IMF for imposing heavy demands on the government in return for financial assistance. Tymoshenko’s Fatherland (Batkivshchina) party, Radical Party (led by Oleh Lyashko) and the Opposition Bloc (former Party of Regions) routinely attack the IMF. “Today global financial clans have infiltrated our National Bank of Ukraine, ministries and departments, and have usurped at least 60% of Ukraine’s sovereignty. This external management is taking place through Ukraine’s puppet leadership” Tymoshenko said. Typically, Tymoshenko is vague about who these interests are in order to maintain her “pro-Western” image she has to stress she is not anti-American or anti-EU. Second, radical rhetoric against corrupt elites and the “establishment.” Cas Muddes’ (2004) definition of populism is, “an ideology that considers society to be ultimately separated into two homogeneous and antagonistic groups, “the pure people” versus ‘the corrupt elite’, and which argues that politics should be an expression of the volonté générale (general will) of the people.” Tymoshenko, who is often described as Ukraine’s leading and long-term populist, has always used radical rhetoric against “corrupt” authorities and oligarchs. Tymoshenko said during the XII National Prayer Breakfast in Washington DC earlier this year that “we should love God and love people. It’s a simple answer” with presumably her understood as being God fearing and all other Ukrainian politicians as Godless. Anti-corruption rhetoric is central to European and Ukrainian populist discourse. While Ukraine’s politicians routinely attack corruption and oligarchs the weakness of Ukrainian political parties has ensured their only source of funding is big business. This has produced low levels of public trust in the anti-corruption claims found in programmes of presidential candidates and political parties. Tymoshenko, for example, has only participated in 55 per cent of votes on corruption and as low as 34 per cent on banking reforms and 13 per cent on energy, two sectors in Ukraine traditionally rife with corruption. Third, scholars have emphasised the anti-democratic nature of populists. Jan-Werner Müller (2015) writes that it is, “crucial to understand that populists are not simply anti-elitist: they are also necessarily anti-pluralist.” Stefan Rummens (2017) writes the most dangerous feature of populism is a firm belief only they are right coupled with a disrespect for alternative opinions. Populists are often derisory about formal politics and parliaments believing them to be “corrupt,” controlled by an unaccountable elite and not reflecting the will of the “people.” “Pro-Western” and “pro-Russian” Ukrainian populists are both weak on parliamentary attendance and voting. The Committee of Voters of Ukraine, an election monitoring NGO, calculated that in May 2018, Tymoshenko and Opposition Bloc MP and presidential candidate Boyko attended only 1 and 6 per cent respectively of parliamentary proceedings. Tymoshenko’s authoritarian leadership was revealed to US Ambassador to Ukraine William Taylor by Viktor Pynzenyk who resigned as Finance Minister from her 2007-2010 government. Pynzenyk said that Tymoshenko had poor leadership skills, made decisions without listening to advice and, “She also was overly confident in her own decisions and believed everyone else is wrong.” Pynzenyk added, “Tymoshenko simply wanted to consolidate power in her own hands;” that is, populism was a means for her to achieve maximum power. This view of Tymoshenko as an authoritarian politician is commonly held in Ukraine and worked against her in the 2010 elections when she received three million fewer votes than Viktor Yushchenko in December 2004 because some voters saw her as a bigger threat to Ukraine’s democracy than even the authoritarian Yanukovych. On 15 June, Tymoshenko launched her 2019 election campaign with a “New Deal for Ukraine” congress in which she called for the creation of an All-Ukrainian Civic Association that would have, “strong influential status so that it can influence real processes in the management of the state.” Commentators said her proposal resembled that of the Constituent National Assembly created to bypass the Venezuelan parliament whose members were elected in a fraudulent vote condemned by forty Latin American and Western countries (Kuzio 2018b). Fourth, populists provide weak support or are opposed to reforms, particularly those “imposed” by the IMF and EU. Vox Ukraine ranked the Popular Front loyal to former Prime Minister Yatsenyuk and Poroshenko Bloc with providing the highest number of votes for reforms. Vox Ukraine writes that without the support of these two factions, “there could not be in practice the adoption of any laws”. Samopomych (Self-Reliance), led by Lviv Mayor Andriy Sadovyy and traditionally viewed by Western scholars as the most pro-reform faction in the Ukrainian parliament is ranked third by Vox Ukraine, a Ukrainian think tank and NGO. Vox Ukraine ranked Tymoshenko a low 38 per cent on their Index of Support for Reform. Vox Ukraine calculates that over the four years of the current parliament, Tymoshenko has participated in less than a third (30 per cent) of votes and her average support for reformist policies is only slightly higher at 36 per cent. Batkivshchyna is ranked fifth in parliamentary factions voting for reforms, lower than the Radical Party and just above the “pro-Russian” Opposition Bloc. Of the five ostensibly “pro-Western” parliamentary factions the two populists, Batkivshchyna and Radical Party have the poorest attendance record and their votes for reforms are by far the weakest. Batkivshchyna and the Radical Party did not support judicial, pension or healthcare reforms. Batkivshchyna led the way calling for the resignation of (Ukrainian-American) Minister of Health Ulana Suprun who has been successful in reducing corruption in the purchasing of medical supplies and reforming this sector. Ukraine is the only country in central-eastern Europe with a land sale moratorium that has produced a corrupt grey economy in land sales. In May and August 2018 the European Court of Human Rights (ECHR) ruled the moratorium violates the property rights of farmers. The World Bank believes the lifting of the moratorium would boost agricultural output by $15 billion. Of Ukraine’s parliamentary parties, Batkivshchyna is by far the most vocally opposed to land reform and its 2017 brochure was headlined ‘Halt the Theft of Land!’ that linked land privatisation to crime and corruption. Tymoshenko leads a campaign to collect signatures for Ukraine to hold a referendum on land reform. Fifth, populists are chameleons and draw on different ideologies to mobilise electoral support, as clearly seen during Britain’s Brexit referendum and the 2016 US presidential elections. This is especially prevalent in Ukraine and other post-Soviet countries where political parties are weak, or oligarch election projects and ideology is fluid. Ukraine’s populists are labelled “pro-Western” or “pro-Russian” while sometimes supporting similar populist policies. Batkivshchyna is a member of the center-right European People’s Party, yet her rhetoric and party platform are populist rather than conservative and the party’s niche policies often resemble Ukraine’s now moribund Socialist Party. In half of parliamentary votes, Batkivshchyna and the Radical Party have voted the same as the Opposition Bloc and both appeal to similar voters at the bottom of the socio-economic ladder. Only half of Fatherland’s 20 MPs have consistently voted for reforms. The Opposition Bloc were and remain financed by Ukraine’s wealthiest oligarchs while at the same time they and their Party of Regions predecessors espoused a Soviet-style populist paternalism. The political face of corrupt tycoons (Party of Regions) financed the ostensible face of the proletariat (Communist Party) (Kuzio 2015). Outright lies, deception and exaggeration are commonly found in populist rhetoric with the most extreme case of this phenomenon the twitter rantings of US President Donald Trump. Vox Ukraine ranked Ukrainian politicians by their willingness to be truthful in its “liars” and “manipulators” survey. Vox Ukraine ranked the top five as Tymoshenko in first place, followed by Opposition Bloc MP’s Rabinovych, Boyko and Oleksandr Vilkul and, surprisingly, leader of the Samopomych parliamentary faction Oleh Berezyuk. Sixth, Paul Taggart (2004) has discussed how crises lead to an increase in the popularity of populists. Populists are adept at what Benjamin Moffit (2015) points to as the instrumentalisation of perceived crises. Ukraine has experienced multiple economic, political and military crises since becoming independent in 1991 and each of these crises has been exploited by populists to mobilise votes. In 2010, voters elected Yanukovych after five years of crisis and political instability when Yushchenko’s presidency was dominated by his bitter and public quarrels with Tymoshenko. Since 2014, Ukraine has been at war with Russia while at the same time seeking to overcome a deep economic crisis and implement unpopular reforms. The extent of the unpopularity of these reforms introduced since 2014 can be gauged by the collapse of support for Yatsenyuk’s Popular front which led to the decision to not participate in local elections held in 2015. Populists, both “pro-Western” and “pro-Russian,” have sought to capitalise on public disgruntlement over unpopular reforms and frustration at the lack of end in sight for the on-going war with Russia. Tymoshenko and Grytsenko have criticised the low number of high-ranking elites who have been criminally prosecuted – which the Anti-Corruption Curt is meant to rectify and Tymoshenko criticised. They have also claimed, without producing evidence, that President Poroshenko’s team are financially benefitting from the prolongation of the war through corruption in military orders. Neither Tymoshenko or Grytsenko have put forward realistic alternatives to the president’s policies towards Russia’s military aggression. Ukrainian bloggers and media suspect Tymoshenko, because of her long association with Russian President Putin, is willing to compromise with Russia (Arel 2008). In both Russia’s 2008 invasion of Georgia and Ukraine’s on-going war with Russia, Tymoshenko has been reluctant to criticise Putin. Meanwhile it is feared that Grytsenko, because of his military background, would pursue a more aggressive attempt to forcibly re-take the occupied territories in the Donbas region of eastern Ukraine leading to an all-out Russian-Ukrainian war. This article has shown populists in Ukraine are different to those in Europe in four areas of immigration, populist-nationalism, Islam and the EU. Migrants do not seek sanctuary in Ukraine, nationalist political forces are unpopular, Crimean Tatars are viewed as allies by democrats and nationalists alike while Russia, not the EU is viewed as a threat to Ukrainian sovereignty. In six other areas, Ukrainian and European populists have close similarities. These include hostility to globalisation, use of radical rhetoric against corruption, they exhibit authoritarian and anti-democratic tendencies, provide weak support for reforms, their utterances are routinely untruths and those of chameleons, and they will always capitalise on crises. In 2019, Ukrainian voters will be given the choice between voting for a continuation of the current political forces in power or supporting the populist alternative who are claiming to be better at reducing the pain of reforms, fighting corruption and curtailing the power of oligarchs, and ending the war. These are tall orders for any political force to implement, particularly in a parliamentary system such as Ukraine’s where parliamentary coalitions (not presidents) create governments. Tymoshenko and Grytsenko do not lead political parties that could hope to elect a large no of MP’s. Batkivshchyna and its predecessor BYuT (Bloc of Yulia Tymoshenko) obtained their highest support of 30 per cent over a decade ago in 2007 but today only command twenty MP’s. Grytsenko’s Civic Initiative party has never been elected into parliament. Both candidates are running their third attempts at the Ukrainian presidency. Ukraine’s 2019 elections will therefore lead to a democratic breakthrough, as per Huntington’s two-turnover test, or the country will again take two steps forward and one step backwards. One thing is for sure is that Moscow, Washington and Brussels will be closely watching the election outcome. Extensive polling data on Ukrainian identity can be found in the Razumkov Ukrainian Centre for Economic and Political Studies National Security and Defence magazine, nos. 3-4, 7-8, 2016 and nos. 1-2, 2017. It is wrong to describe the conflict in eastern Ukraine as a “frozen conflict” as they are outcomes where one side is defeated – as in Moldova, Georgia and Azerbaijan. This is not the case in eastern Ukraine where military engagements and casualties of combatants and civilian is a daily occurrence. The Crimea is different and is a frozen conflict because Russia occupied and annexed the region without any war and there is no on-going conflict. Arel, Dominique. 2008. Ukraine Since the War in Georgia. Survival, 50, no.6: 15-25. Eke, Steven and Kuzio, Taras. 2000. Sultanism in Eastern Europe. The Socio-Political Roots of Authoritarian Populism in Belarus, Europe-Asia Studies, 52, no.3: 523-547. Glahn, Cosima. Np. Populism and the ENP to the east: A comparison of populism in the Republic of Moldova, Ukraine and Georgia. Huntington, Samuel. 1991. The Third Wave: Democratization in the Late Twentieth Century, University of Oklahoma Press. Kudelia, Serhiy and Kuzio, T. 2015. Nothing personal: explaining the rise and decline of political machines in Ukraine. Post-Soviet Affairs, 31, no.3: 250-278. Kuzio, T. 2010. Populism in Ukraine in Comparative European Context, Problems of Post-Communism, 57, no.6: 3-18. Kuzio, T. 2012. Democratic Revolutions from a Different Angle: Social Populism and National Identity in Ukraine’s 2004 Orange Revolution, Journal of Contemporary European Studies, 20, no.1: 41-54. Kuzio, T. 2014. Impediments to the Emergence of Political Parties in Ukraine. Politics, 34, no.4: 309-323. Kuzio, T. 2015. The Rise and Fall of the Party of Regions Political Machine. Problems of Post-Communism, 62, no.3: 174-186. Kuzio, T. 2018c. Russia–Ukraine Crisis: The Blame Game, Geopolitics and National Identity. Europe-Asia Studies, 70, no.3: 462-473. Moffitt, Benjamin. 2015. How to Perform Crisis: A Model for Understanding the Key Role of Crises in Contemporary Populism. Government and Opposition, 50, no.2: 33-53. Muddes, Cas. 2004. The Populist Zeitgeist, Government and Opposition, 39, no.4: 541-563. Müller Jan-Werner. 2015. Parsing Populism: Who is and who is not a populist in these days? Juncture, 22, no.2: 80-89. Ostiguy, Pierre. 2017. Populism: A Socio-Cultural Approach in Rovira C. Kaltweisser, Paul Taggart, Paulina Ochoa Espejo and P. Ostiguy eds., The Oxford Handbook of Populism. Oxford University Press: 73-100. Rummens, Stefan. 2017. Populism as a threat to liberal democracy in R. C. Katwasser, P. Taggart, P.O. Ochoa and P. Ostiguy eds., The Oxford Handbook of Populism: 554-570. Sakwa Richard. 2017. Russia Against the West: The Post-Cold War Crisis of World Order. Cambridge University Press. Suslov, Mikhail. 2018. “Russian World” Concept: Post-Soviet Geopolitical Ideology and the logic of “Sphere of Influence”.” Geopolitics. Taggart, P. 2004. Populism and representative politics in contemporary Europe. Journal of Political Ideologies, 9, no.3: 269-288. Taras Kuzio is a Non-Resident Fellow at the Centre for Transatlantic Relations at Johns Hopkins School of Advanced International Study and Professor, Department of Political Science, National University Kyiv Mohyla Academy. He is the author and editor of 21 books and think tank monographs, including Putin’s War Against Ukraine. Revolution, Nationalism, and Crime (2017), Ukraine. Democratization, Corruption and the New Russian Imperialism (2015), The Crimea. Europe’s Next Flashpoint? (2010) and Ukraine-Crimea-Russia: Triangle of Conflict (2007).